Mobile devices with touchscreens (smartphones, tablets) are increasingly used to control remotely controlled toys, vehicles, drones, etc. or other devices. it takes up valuable space, especially as no other control elements should be placed near it (as the user is likely to be watching the remotely controlled vehicle instead of concentrating on the screen, so the accuracy on the screen might become severely limited). It is not a good thing to hit the emergency stop / emergency shutdown by mistake. besides taking care to avoid triggering it by mistake, it also has to be accessible in an emergency. For example, if the vehicle is heading towards a cliff (or staircase) or a wall at high speed, the user doesn't have time to fumble through menus to find the emergency stop. I'm thinking about using the physical buttons which are outside the touch-screen. Exiting the app by pressing the back key or the menu button might be considered as a choice (I'll just catch the onClose or onStop signals and emit the emergency stop command before closing the app), but it has a disadvantage for the case where several users can control the same device. In that case, closing the app might mean releasing control so others might continue controlling it. There might be other physical buttons on the side of the mobile device (the power/wakeup button, the sound volume control etc.) but not all of them might be available on all types of mobile devices. Is there an established practice for the emergency stop option for remotely controlled vehicles? If it's placed as a button on the screen, how to avoid triggering it by mistake while still making it quickly accessible in an emergency? Firstly, you can't guarantee the position of any physical controls on the device. Even if you decided to stick with the iPhone/iOS you can't be sure that they won't issue a model that has the button you've chosen hidden somewhere awkward or removed altogether. 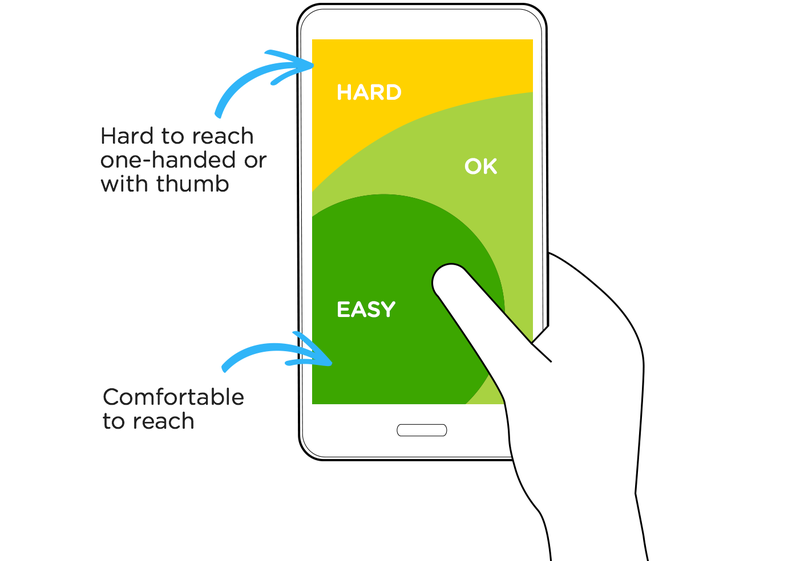 Instead you might want to consider gestures - A two-finger swipe down the screen could trigger the emergency stop without the need to use hardware buttons or use valuable screen space - I would, however, advise trying out a few different gestures to find the right one for your application. Not the answer you're looking for? Browse other questions tagged mobile remote-control or ask your own question. Where should I place the “Actions” button? Where is the best place for banner AD?